I'd been looking for ages for a porcelain palette that suits my set up and the way I work, but have never found that perfect fit. If the palette looks right for me, it's often too large or too small for where it will sit, or if it fits the space available, the wells are too big and the mixing space too small. So for a long time I've been using a large square porcelain dinner plate, but battling the paint sliding into the mixed area. Then I had an idea. Silicone sealant! With this, I could have wells on my plate. So a tube of the good stuff was purchased and OH swung into action with his silicone gun. A couple of hours later, I had just what I wanted - the perfect palette. I wanted a cover for my lovely new palette, to keep the dust and dog fur out of my mixes when I'm not using it. So there we were one evening in a busy supermarket (friday evening shopping), struggling in vain to fit a reluctant shower cap onto a large square dinner plate. The looks we got! Some people can be so judgemental. It didn't fit, so the search goes on. If all else fails, a perspex panel with a few dabs of silicon sealer on the corners will serve the purpose, but a proper lid would be better. Polly, this is great! Does the silicone hold? I did something similar using polymer clay, but it came off.. Yes, the silicone holds well, but it needs to be the stuff that stinks of vinegar (acetic acid) otherwise it doesn't work so well. Yes, you're a genius!! I was going to suggest a sheet of acetate that you could cut to size and tape on like a lid for a temporary lid, but Perspex would work just as well. Or perhaps a giftbox lid that sits over it? I love this!! Never have found a gift box lid that will fit. this is an awesome idea. 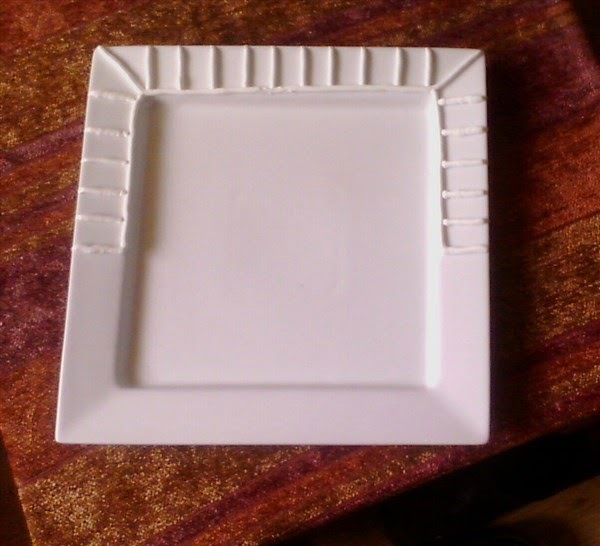 I also use a sq dinner plate from Walmart..actually its a platter. I use the largest and the biggest gallon wise from ziplock storage brand. slide the plate in and zip her up. works great.